Since the availability of TWRP recovery, it has become a lot easier for Moto E4 users to get root access. For those wishing to know more on this, this post would provide detailed information. Here you will get to know each and everything about Moto E4 recovery mode. As already said, getting root access on the Motorola Moto E4 is viable only if a custom recovery image can be employed. 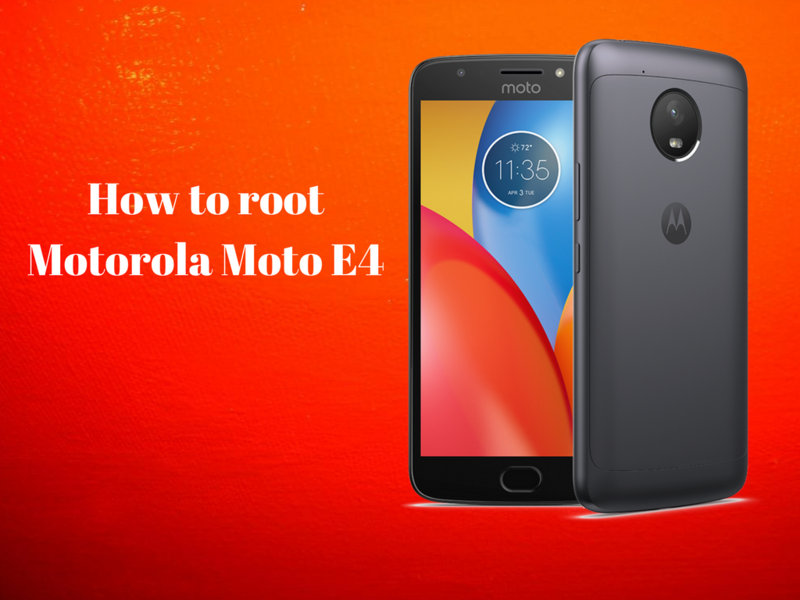 Therefore, before proceeding further and before following the steps from this tutorial, it is necessary to install TWRP recovery on the Moto E4. Note: an unlocked bootloader is also needed, so make sure that you do that too. Rooting the Android system simply means unlocking your device. Generally, once this guide is used, you will be able to make any changes you expect as the Android OS won’t have any in-built security features set. The Android core system will be unlocked and you will be able to modify it by using all the custom processes you like. And since TWRP recovery is installed, the task will be quite easier than you might think. Let’s know more about the recovery process below. The first thing to do is to make a wipe on your device. Therefore, enter recovery mode on your Android device and select “wipe data factory reset” followed by “wipe cache partition” and by “wipe davik cache”. Go back to main menu of recovery and choose Reboot. Next, on your computer download the Magisk v14 file and the no-verity-opt-encrypt zip file from this page. Link your Moto E4 with your computer via USB cable. Move the downloaded files from desktop to your handset and then detach the USB cable as the computer is no longer effective. Turn off your smartphone and move to recovery mode once again. From recovery tap on Install, pick the no-verity-opt-encrypt file and swipe in order to begin the flashing process. Repeat the last step and install Magisk v14. When finished, go back to main menu of recovery and tap on Reboot. In the end you can download the Root Checker app from Google Play for checking your phone’s root status. It’s perfectly done. Root access is now guaranteed on your Motorola Moto E4. Thus, you can choose to replace the stock Android Nougat OS with a custom firmware. A custom update operation can help you check the Android 8.0 Oreo software right away – if you want to do that make sure you choose a fully stable firmware or otherwise you might end up in regretting your decision. Also, don’t forget to share your root experience with us and with the other users who are currently trying to apply this step by step guide – you can talk with us easily by using the comments field from down below.